While we all know how AR has affected digital media, print media was pushed back a bit more with its old school, safe approach to marketing. However, the slow and steady are now experimenting with AR to get back in the marketing game. 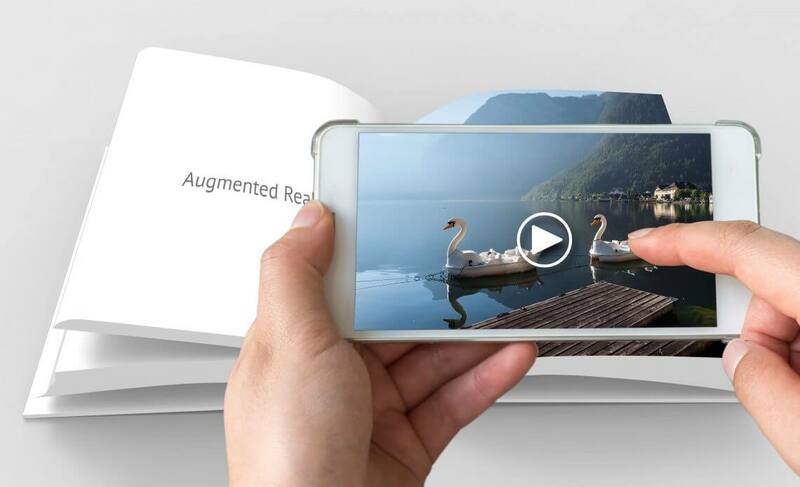 There are numerous ideas and examples present that show how in-store and at-home experiences have been changed due to AR technology being used digitally, however, print materials have also now come up with ideas to make it entertaining on paper as well. Let’s start with Porsche. The brand gives its audience a chance to explore each and every angle of the car by just scanning their print ad. It’s more of a test drive from home and you feel like you already know so much about the car because you can scan it so extensively. Talking about cars, we all know a person who loves Top Gear. Car enthusiasts can now experience a completely different angle of the show through their print magazine. Every page has a video or information waiting to be scanned by the reader and go on a ride of their lifetime! This clever way or incorporating AR in print has also helped increase revenue in print that had declined over time. Rolex, the luxury watch brand, came up with a virtual try- on experience for the audience that let them go over through as many watches as they like from their print catalogue. A genius idea and very, very effective for fashion brands. This could definitely reduce the product return numbers! With Print AR taking lead, Net-a-Porter too made use of their print catalogue and incorporated augmented reality in it. Their scan-to-purchase concept increased their sales as well as customer interaction with the brand. The readers could go over the magazine’s pages, scan the item they liked, which would emerge on their screen and purchase it right there and then. They also have options to call or watch a video from the scan. Even Madam Tussauds jumped in the bandwagon and created an interactive and entertaining souvenir guidebook of their museum. The visitors could scan the pages and bring their favourite celebrity to life or watch behind the scenes of the waxwork being done. While AR has not become the need yet, it is definitely in demand. Every big wig brand has used it in their campaigns, be it digital or print, which means print media cannot be taken lightly or ignored when it comes to marketing with AR. We all will just have to wait and see what other genius ideas come up in print!